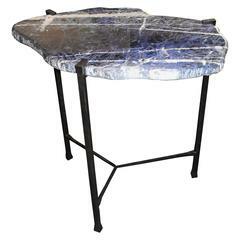 Variations are available for finishes and sizes. Table top replica yap stone. Replica, hand-carved head of Buddha. 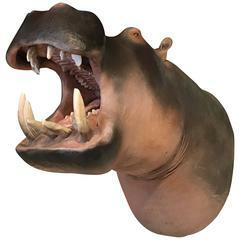 Lifelike replica of a hippopotamus. The hippo head has all the details. Lifelike replica of a hippo calf. The calf has all the details and can not be distinguished from real. Lifelike replica of a rhino calf. The calf has all the details and can not be distinguished from real. Lifelike white replica of a rhino calf. The calf has all the details and can not be distinguished from real. 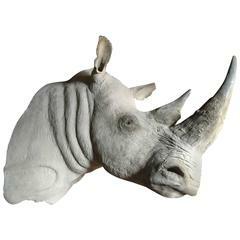 This trophy head is an exact copy of a white rhino. It is lifelike and has a lot of detail. 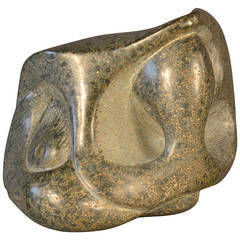 The rhino head makes a powerful interior statement.